Based at Atlanta Hall Farm in Monkton, Md., Voss was leading the way (by mid-season) to a third consecutive steeplechase training title. Among the horses he had sent out in the previous two years were multiple Grade 1 winner John’s Call, who just missed winning the Breeders’ Cup Turf-G1 at age 9 in 2000, and 2001 Breeders’ Cup Steeplechase-NSA1 winner Quel Senor (Fr). The American Horse Council (AHC), American Quarter Horse Association and United States Trotting Association weighed in against the bill, wrote Bill Heller, speculating that the elimination of slaughtering would cause more pain than good to the horses who are spared with nowhere to go (the AHC took a neutral stance until it could examine results from a questionaire it sent to industry organizations). But Thoroughbred racing was supporting the bill and seeking alternatives to slaughter. It stirred a heated debate. The Belmont Stakes-G1 produced a shocker when Sarava became the longest-priced winner in the race’s 134-year history, scoring at 70-1 as Triple Crown hopeful War Emblem lost all chance with a stumble out of the gate. A record-breaking crowd of 103,222 turned out for a chance to see history, which they did as Sarava surged past Medaglia d’Oro to win by a half length. Trained by Ken McPeek for Paul and Susan Roy, Sarava was ridden by former Maryland-based superstar Edgar Prado. 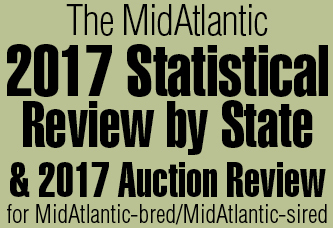 The Wild Again colt had another Mid-Atlantic connection: He was the fourth highest-priced yearling sold at the 2000 Fasig-Tipton Midlantic Eastern Fall Yearling sale. Buzz Chace purchased him for $100,000 from breeder Bill Entenmann’s Timber Bay Farm. Sarava was pinhooked the next spring when sold again for $250,000 at the Fasig-Tipton sale in Florida. Bop, a 5-year-old son of Rahy bred in Virginia by the famed Keswick Stables of Peggy Augustus in partnership with W Lazy T, set a 5-furlong course record in winning the Punch Line Stakes at Colonial Downs in June, getting the distance in :55.85. It was the second year in a row the chestnut annexed the race for Marylander Jonas Cash’s Folly Quarter Stable. Bop equaled the world record for the distance two starts later in Penn National’s Pennsylvania Governor’s Cup Handicap, stopping the clock in :54.61. The next season he broke Gulfstream Park’s record as well, getting 5 furlongs in :55.10. The speedy chestnut is now a leading West Virginia sire while standing at O’Sullivan Farms in Charles Town. By capturing the $100,000 Greenwood Cup Handicap at Philadelphia Park, the Michael Dickinson-trained Cetewayo got one step closer to becoming a millionaire–a feat made more remarkable due to the fact that he was 8 years old and making his 25th lifetime start. 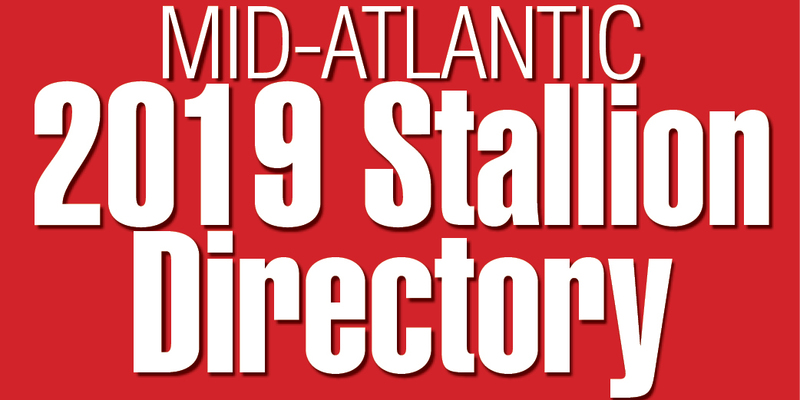 With the score (the 10th of his career) in the 1 1/2-mile turf test, John Chandler’s homebred multiple Grade 1-winning son of His Majesty pushed his career earnings to $905,543. handicaps. He retired to stud at Godstone Farm in Pennsylvania, where he still stands.